Pets are family members and, like children, we want them to be on their best behavior. Specialized dog training fetches top dollar prices in Las Vegas and promises the best dog for your home. But one family who entrusted their pet to a long-time local trainer was devastated with the results. LAS VEGAS — Specialized dog training costs top dollar prices in Las Vegas but promises a well-trained pooch in return. 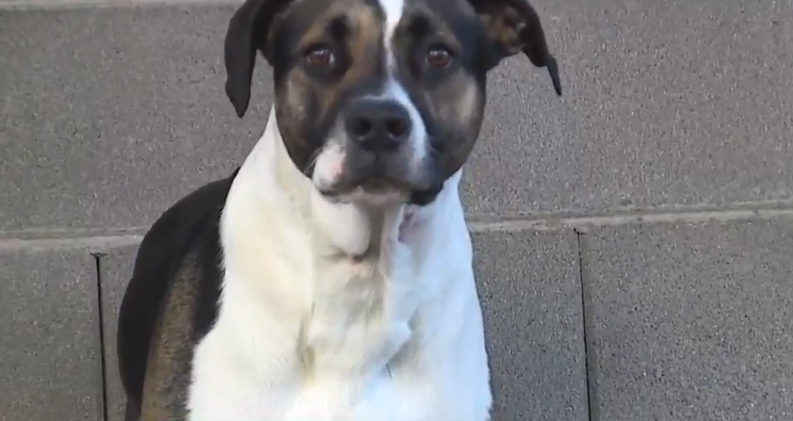 But one family who entrusted their pet to a long-time trainer was devastated with the results. The Mansfield family is all about second chances. Cases in point: rescue dogs Bella and Oreo. "You adopt them to have a great life and a nice home and love," Annette Mansfield said. "I was trying to do what everybody thought would be right for Oreo. Oreo began his life on the streets. "He was actually with a homeless man and when he was about two or three months old he got hit by a car," Annette explained. "The homeless person took him to the vet." After surgery on his pelvis and four months of healing, Annette and her son, Austin, adopted the plucky pup. "So when we got him, he was 7 months old. Never had a home," Annette said. They fell in love with his buoyant personality, but soon his size and strength became too much to handle. So she signed up with Sit Means Sit dog trainer Billy Salcido and paid $1,954 for an immersion training program. "You're taking my baby, you know, please take good care of him," Annette recalls thinking when she signed Oreo up in December. "I'll see him in a few days. Things are gonna be great." Oreo would live in Salcido's home for a week of obedience training which included the use of a Sit Means Sit shock collar. "He showed us how it would work more or less — it would be on the vibration to get his attention," Annette said. She trusted the highly qualified trainer, but got concerned early on when she asked for proof of payment and a copy of her contract. "I asked for a receipt. It took three days and for him to come back to the house," she said. Video from her Ring doorbell shows Salcido dropping off the paperwork without ringing the bell or talking to anyone, even though they were all at home. "And the red flags went up for me at that point," said Annette. Part of what they paid for were videos of Oreo in training. In one, he seemed exhausted but OK. In the second, not so much. "I was like, no. I gotta watch it again," said Annette. "Let me look at his eyes. Let me make sure everything's OK. By the second or third time I was like, 'what is that on his neck?' "
She realized it was a bloody wound. "I totally freaked out. I was like, 'oh my God!' "
They demanded Salcido bring Oreo back immediately. "One of the first things I noticed when I took the collar off of Oreo — it has these four prongs in it — and distinctly you can see four spots on his neck," Austin said. 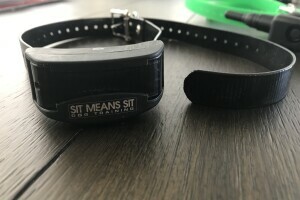 Sit Means Sit's use of shock collars caused controversy in 2015 when two men with a St. Peters, Missouri, franchise were charged with animal abuse for using shock collars in a way that caused pain to four dogs. Austin says when he took off Oreo's shock collar, "I could feel the shock from my hand through the tips of my ears and the top of my head." 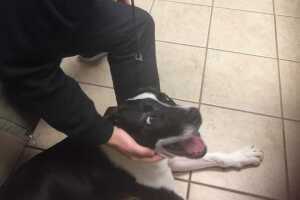 They took Oreo to the vet right away where an exam revealed raw sores on his paws, multiple wounds on his body and pronounced burn marks on his neck from the prongs of the Sit Means Sit shock collar. "By the time the veterinarian shaved it down I was ... I was mortified," Annette said. "I've been blaming myself. I've been crying a lot. I'm so sorry for what happened to him." After she confronted Salcido via text he promised a refund, writing "I feel terrible about this whole situation ... I will make it right." He also left a voicemail message saying, "I'm really working hard right now to try to get you your refund so I can get it to you ASAP because I just want this to be done. I don't want to prolong it any more than it has to and again, I'm apologizing again, but we'll... We'll take care of it." But nothing was taken care of. After he did not return multiple telephone calls, emails and texts, KTNV tracked down Salcido at his central Las Vegas address where you can see all the dog training tools as well as the Sit Means Sit signage. Multiple dogs barking could be heard from inside the garage but no one was at home. KTNV made one last attempt to reach him on the phone before we left and he finally answered, but declined to comment. With wounds still healing, Oreo displays some skills he learned like sitting on command and offering his paw for a shake. But his family says he's now distrustful, skittish and nervous around strangers. "I just want people to know," said Annette. "It can't keep going on like this. I don't know how anyone can do that. It's just incredibly sad and I don't want it to happen to another animal or another family. These poor puppies, you know, they trust you." When KTNV first called the corporate office of Sit Means Sit they said they had no comment. But the next day, Sit Means Sit Corporate President Alfredo Rivera called her back to say he was very distressed when he saw the pictures of Oreo's injuries and they won't tolerate mistreatment of animals or let anyone jeopardize their company name and mission. He said Salcido misinformed them and mishandled the situation. As a result, they pulled Salcido's franchise license so he is no longer with the company. Sit Means Sit also refunded the Mansfield family $2,409.84 for the training and vet bills.